In accordance with the contract, Energomashspetsstal will produce the next batch of rolls to metallurgical complex Azovstal. 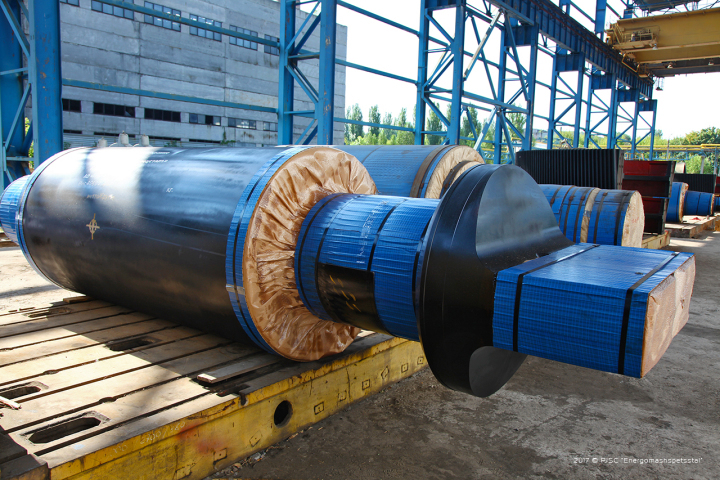 The contract provides for the supply of 40 hot work rolls with a weight up to 40 t.
At Energomashspetsstal products will complete the machining cycle and under the terms of the contract will be sent to the customer in October-November 2017. The total weight of the delivery is 316.48 t. Rolls with the brand “EMSS” will be used for the rolled steel production. Metallurgical complex Azovstal is one of the world’s largest manufactures of continuously cast slabs, which are used as a blank for the production of flat sheet or coiled stock products. Slabs are produced in thickness from 220 to 300 mm, width from 1250 to 2100 mm, length from 5000 to 12000 mm.